Located in Asheville, N.C., the Biltmore Estate is a breathtaking property that includes George Vanderbilt’s historic mansion, numerous hiking trails and for one sunny March day, the locale of the official unveiling of Husqvarna’s latest chainsaws. Products included in the launch event were two new saws in the 70cc class, the company’s lightest professional gas-powered tree care saw and two redesigned 50cc saws. Why choose such an elegant backdrop for a product line unveil? The reason is quite poetic actually: The Biltmore Estate was home to the Biltmore Forest School — the first school of forestry in North America. 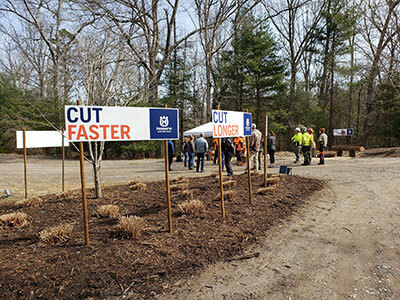 Husqvarna invited a few media professionals, dealers and customers out to the 8,000-square-foot property to see what the new models could really do. Here are a few highlights from the event. Weighing 14.5 pounds and equipped with a powerful 5.8-hp engine, the Husqvarna 572XP delivers a 12 percent higher cutting capacity over similarly sized Husqvarna saws. The 565 has AutoTune, Air Injection and offers low vibration. The Air Injection system filters out 98 percent of incoming dust for less wear on the engine. For this demo, a filter was taped in duct tape with a few holes poked through to simulate a dirty filter. With AutoTune, which is featured in the second take, the carburetor is able to adjust to change in conditions and keep working. According to Husqvarna, AutoTune ensures a correctly tuned engine setting and optimized engine performance in all conditions at a 10 times quicker air/fuel mix adjustment. When it comes to the Mark II models, one thing was clear: Maneuverability is key. Check out the below video to see the 550XP Mark II in action. 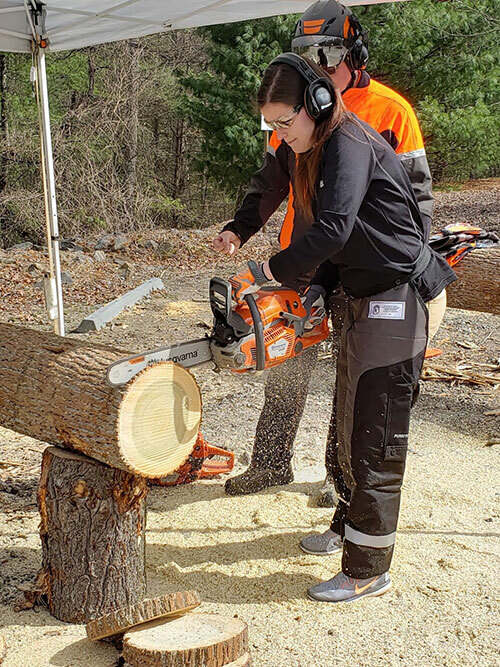 Another key factor to note is that the new models feature a 13 percent higher cooling capacity compared to the previous generation of 50cc chainsaws from Husqvarna. This new model — Husqvarna T525 — was designed to be the company’s lightest gas-powered tree care saw. It includes a powerful, low-emission X-Torq engine for professional performance, ease of use and safety for all pruning and trimming jobs. This new 27cc saw features a quick-release air filter cover that saves time when cleaning or changing the saw’s spark plug or filter. The belt eyelet makes it easy to connect the saw to the climbing harness, and the auto-return stop switch means the saw automatically resets to the “on” position for easier starting. 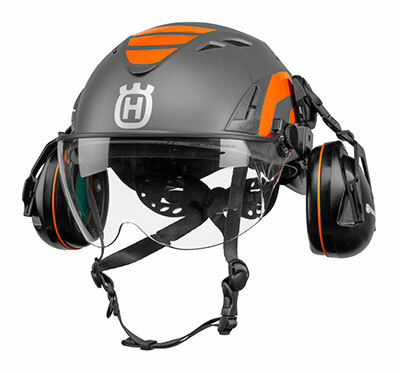 Rounding out the product launches is the company’s new line of arborist helmets and equipment essentials. The helmets come as Class C or Class E variations and three different visor versions: clear, mirror and smoke. Both helmets meet ANSI and CSA requirements and come with universal fit and depth adjustment settings as well as wheel ratchet adjustment along with a three-year warranty. The Class C is also ventilated. Husqvarna has also expanded its line of X-Cut chainsaw chains. Now available in four different versions, these chains were designed, developed and manufactured in Sweden — from the materials to the final product. In addition to the already available X-Cut SP33G low-vibration pixel chain, Husqvarna has released the new X-Cut C83 (.050 gauge) and C85 (.058 gauge) models, adding full chisel 3/8-inch pitch chains for professional use to the series. The new X-Cut S93G (.050 gauge) further expands the series by introducing a semi chisel 3/8-inch mini chain designed for professional top-handle and lower cc saws. Learn more about the new products here.